Callaway Golf’s rebirth of the Big Bertha line was a bit hit in 2014, and the clubmaker is looking to capitalize on that success with a pair of new drivers. 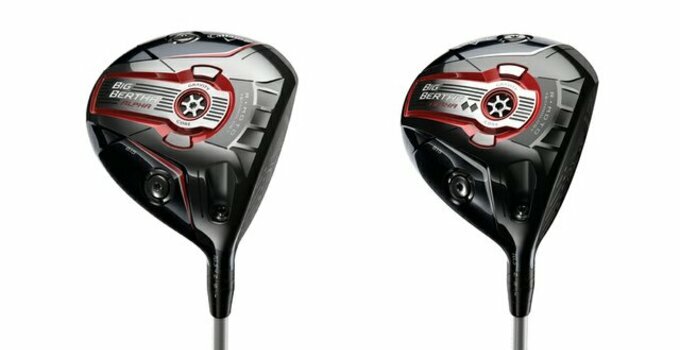 The Big Bertha Alpha 815 and Big Bertha Alpha 815 Double Black Diamond, coming out Nov. 14, are built on the technology found in the Big Bertha Alpha driver. The central feature to the original Alpha is the “gravity core,” which is a removable tungsten weight placed in the center of the club’s sole. One end is weighted with 10.5 grams of tungsten, while the other end is 1.5 grams of nylon. When the tungsten weight is placed facing inside the club, the weight creates a higher center of gravity with more spin. Flip it over and the ball spins about 300 rpm less — that’s another 300 rpm off the original Alpha — off the face. The body of the club is refined as well, maintaining its forged composite crown but with a thinner face that has stiffer material to hold it in place. The club also comes with two plug weights — 7 grams and 1 gram — that can be placed in the heel or toe to create shot-shape bias. The OptiFit system offers customization with settings for loft and lie. The Double Black Diamond model is geared toward players with faster swing speeds, those who are more likely to generate even more spin at impact. Callaway’s solution is a longer gravity core that reduces spin by an additional 100 rpm over the Alpha 815. The Callaway Golf Big Bertha Alpha 815 (MSRP: $449) and Big Bertha Alpha 815 Double Black Diamond (MSRP: $499) drivers go on sale Nov. 14.